So, the biggest and most prestigious award ceremony of the football calendar has come and passed, in the fleeting, and swift way that so many award ceremonies do. Months of build up, of excitement and anticipation and curiosity all climaxing in a few minutes of impassioned speeches, and a man or woman so proudly displaying that well rehearsed celebrity smile, the one that they know will be peppered across every major news outlet for weeks to come. One man that certainly got the message, was Cristiano Ronaldo, the newly crowned winner of this years Balpon D’Or – The FIFA worlds best player of the year. Despite a disappointing World Cup showing, or rather, a lack of one, Ronaldo was tipped by many as the favourite to claim the award this year (And his third overall), and to all those expecting fans, colleagues, rivals, the Real Madrid star delivered. 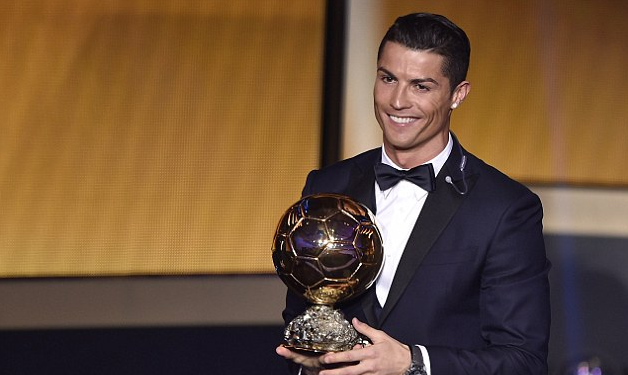 Ronaldo may now boast a trophy cabinet containing three of world footballs (arguably) most prestigious award, a feat which only six others have ever accomplished, including his rival, and fellow nominee, Lionel Messi. Ronaldo’s stats over this past season have indeed been impressive, with the Real Madrid front man’s form flying to heights that he had never seen before, with a staggering fifty-two goals in forty-three games, you just can’t argue with stats like that. While Ronaldo’s incredible form this past season is certainly nothing to be sniffed at, and obviously with his current form, no one is doing as such, and perhaps Ronaldo is the best player in the world right now. But if one were to look at all of the FIFA World Player of the Year awards, and Ballon D’Or winners throughout history, they might notice something – since the origins of the award in 1956, only one defender, one goalkeeper, and one defensive midfielder, have ever claimed the title. So, unless Defenders are altogether useless, and football has been being played wrong for decades, then it would be fair to say that there is some serious imbalance there. So, why is it that defensive minded players always seem to take the backseat in the terms of this award? You couldn’t claim that defenders are short of passion. There is no shortage of talent in the defensive department in the world either, with young talents such as Raphael Varane, Luke Shaw, Kurt Zouma, and many others emerging, with some older defenders still continuing to prove their worth long into their career, with the likes of Sergio Ramos and John Terry continuing to hold down first team places at their respective top flight clubs. There are no lack of world class defenders in the world today, who shape and impact the matches that they take part in as much as their attacking colleagues. Nor are there a lack of world class keepers, young and old, with Petr Cech, Gianluigi Buffon, Hugo Lloris, David De Gea, Thibaut Courtois, and most prominently of all, Manuel Neuer gaining their teams valuable points throughout the seasons. So why then, are defensive players snubbed so often for this award? Manuel Neuer, hailed as ‘The Sweeper Keeper’, and the best keeper in the modern game by many, was amongst the final three nominees. He has changed the game in how he plays. His method of play requires quick reflexes, a keen eye for positioning, fantastic skill, and a level of confidence that many outfield players would struggle to match. So, why does a man, who is irrefutably and undeniably the best of his position, a man who has innovated and changed how his position is defined in a way that no others may match him, and provided a new flair and lease of life to a position that some might consider not quite as exciting as attacking areas of football, still remain ignored by this competition? Manuel Neuer acts as sweeper keeper against Islam Slimani in the World Cup of 2014.
a goal is the great diamond in their crown jewels of their stats, where as they are the dark smear on a goalkeepers immaculate crown. Commentators will often state that there was nothing a keeper could of done to reach a shot, or that the attacker “should have beaten him” – this simply highlights the difficulty of the position. So, yes, maybe Cristiano Ronaldo, who is in the form of his life, and is certainly one of the most potent attackers, and game changers of modern day football, deserves his third honour. Maybe he is the best in the world, no one can deny that he is certainly the sort of striker that you would describe as unbeatable. But maybe, it is also time to honour the unsung heroes of the game – not simply for the purpose of being inclusive, the award after all should go to the best in the world, lest the award become devoid of any authority because it is handed to a defender, or goal keeper simply because they play in a difficult position, but for the purpose of remembering that these players change games too, and that goals are not the only attribute of football that should make up a footballers worth.